Hulu is one of the topmost OTT platform available in US. Millions of customer are using Hulu each and every day. Have you ever got this question – How many people can watch Hulu at once? or How many devices you can watch hulu on? or How many screens are available with one Hulu account? We are going to answer all these question in this blog post. Most of the customers were already shifted to video on-demand services like Netflix, Hulu, HBO, Sling TV etc because of the high costs of cable networks. Also, these services provides lot more features than legacy cable networks. You can watch the movies whenever you are free using their catch-up feature. Loads of movies and even original TV shows are available with all these OTT services. Another main advantage of shifting to Hulu is there are no long term contracts with Hulu. You can subscribe or opt out any time you want. NO hidden costs like sales taxes are imposed on you. Hassle free cancellation options available online. Hulu is definitely the top player that has gained lots of momentum towards the on-demand video services. Already well established players like NetFlix are getting huge competition due to new services in this market. However Netflix and Hulu were able to retain their customer with stunning content and original series-es. Without much ado, let’s jump in to our main topic of this blog post- How many people can watch Hulu at once. Basically the answer to this question varies based on the plan you have subscribed to. 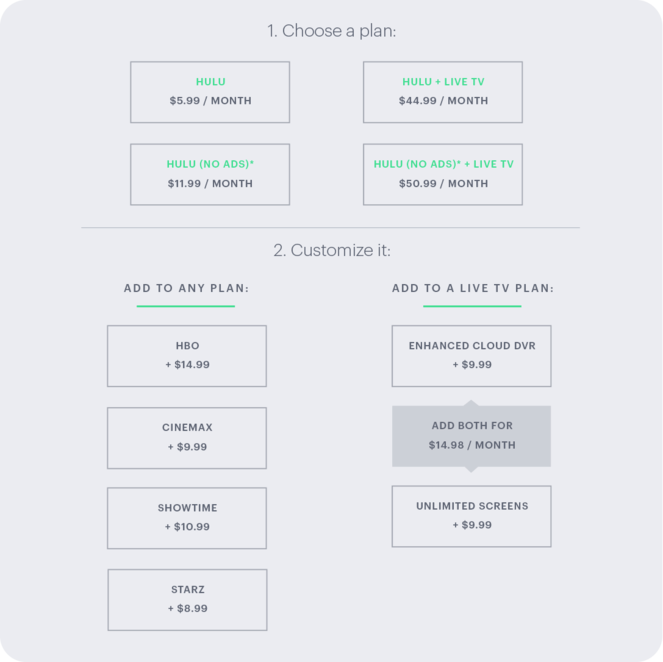 So prior to know How many users with one hulu account, let’s see what are all the plan available with HULU and how many devices you can have on hulu with each of these plans. To be precise, there are two popular plans available with Hulu. One is the standard plan and another one is Hulu with Live TV. Both these plans offers variety of channels, movies and shows. Few channels are included in both the plans. You can choose any of these plans according to your requirements. Number of devices on Hulu you can stream simultaneously also varies depending on this plan. And not to forget, you can always choose add-on channels and other add-ons like Unlimited screens etc. to your plan. Hulu standard plan comes with two variants. One is with commercial advertisements and another with no ads. So to answer the question – How many people can watch Hulu at once, If you have subscribed to Hulu standard plan, with or without ads, you can able to watch two simultaneous streams. If you try to open and play streams on the second device, it will display an error message saying that too many streams are playing. Although its officially stated that you can watch only one stream simultaneously with Hulu standard plan, many users claim that they are able to watch up to two devices at once. It seems like they have allowed to do so in order not to have any stream issues while switching between devices. With Hulu – Live TV plan, you can get up to two simultaneous streams. 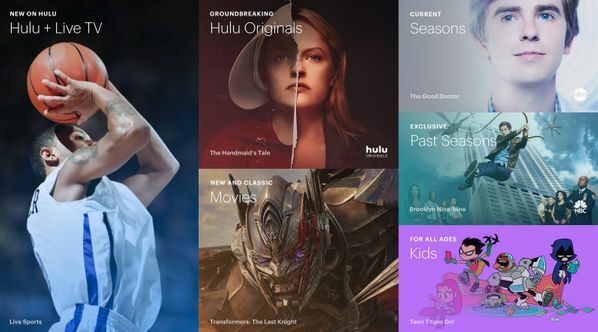 However if you have a big family with different TV tastes, then Hulu unlimited screen add-on is the perfect fit for you. With this add-on, there won’t be any restrictions imposed on number of concurrent streams being played. Unlimited screen add-on costs you additional $14.99 along with your Hulu Live TV subscription. You can watch Hulu on as many as supported devices without any streaming issues with this add-on. So stop fighting for remote! Add Hulu unlimited streams add-on. How many Devices you can Watch Hulu On? There is no limit on number of devices or profiles you can add to one hulu account. However you are limited to watch on only one stream at once for standard plan and two streams with Live TV plan. So to answer How many devices on Hulu at once you can stream, it is again depending upon the plan but you can privileged to sign in Hulu on as many Hulu devices you want. If you try to stream parallel on multiple devices, following error will pop up on your screen – Too many Active Videos (Your Hulu subscription allows you to watch one video at a time. To continue watching here, Please close any Hulu videos you may be watching on other devices). As mentioned earlier, lots of services are emerging into this market each year. Current global leaders, Hulu and Netflix are facing tough competition from Amazon Prime. Each one of these are having their own originals content to attract the customers. Comparatively Netflix costs bit cheaper than Hulu. With $14/Month you can avail Netflix 4 screens limit with 4K UHD quality. You can get stunning content with huge catalog of movies and TV series at Netflix. Sling TV on the other hand is gaining momentum in recent time with it’s Sling Orange and Sling Blue plan customization. With this I’m wrapping up this post on How many people can watch Hulu at once and How many devices on Hulu you are allowed to watch simultaneously. If you have any queries regarding the Hulu plans or number of streams, do let us know through comments. We will be glad to help you out. Cheers!